I have discovered how to make the yummiest mashed potatoes over the past few years. I am no genius, but rather this came from having to host a Thanksgiving with my siblings the year after my mom passed away (she took her meal magic with her) and input from different family members and their ways of making this side dish. I wanted to share this because sometimes you just want something dynamic and fast. Put your own twist with types of potato, seasonings, and amount of butter and add-ins. That kind of testing is how we figured this out! 1/2 to 3/4 can of evaporated milk 12 fl oz. 1 tsp to 1 Tbsp of freeze dried or minced garlic (fresh can be too bitter). 1 tsp to 1 Tbsp of freeze dried minced onion. Salt (I keep the large container on hand to salt to taste). Get all of your ingredients out, and let the butter and cream cheese start to soften a bit. Put an 8 quart pot on the stove and fill just past half way. Add about 1 Tbsp salt, dried garlic and onion to the pot of cold water – this adds flavor to the potatoes as they are cooking! I never measure – just put it in (you can tweak this to your taste). Clean and peel your potatoes, setting the clean ones aside in a bowl of salted water to keep from browning. Start cutting your potatoes in half, then each half into quarters and add to pot of water on the stove. Then turn on your burner and bring the water & potatoes to a rolling boil. Keep an eye on them to make sure they don’t boil over (adjust your temperature accordingly). Cook until they are able to be easily cut with the side of a fork. When cooked, drain your potatoes in a colander in the sink (be careful of the scalding steam & splashing hot water!). I usually hold the pot handles with a towel or pot holders. In a large bowl add the potatoes, 1 stick of butter, 3/4 of the cream cheese, 1/2 can of evaporated milk, and 1 Tbsp of salt. I use a hand mixer because that is what I have and I mix everything together making sure to taste and add more ingredients as needed (if dry, add more evaporated milk – a little at a time). I hope this helps you out a bit with your mashed potatoes at any time of the year! PS – I will add more photos as we make ours on Thanksgiving day! If you have ever wanted a look into how I make my ceramic beads, I have written an article for the online magazine: Artisan Jewelry Times called Ceramic Clay Bead Basics, where I go over all of the basic details about making and firing ceramic beads. In the June 2016 article, I discuss clay and glaze materials, texturing beads, making bead holes and keeping them round, how to load your bisque (not glazed) kiln load and how to load your bead trees for the glaze firing (up to cone 6). You can download a digital version of this article through the Artisan Jewelry Times website, AJT Etsy shop, and get updates through their Facebook page. Being a beadmaker makes me feel at times that I should also be a juggler. As I work on new beads and objects, I am also prepping for shows, online sales and some classes. I’ve started a new FaceBook Group called Marsha Neal Studio Group Share. The direction being that there is a place for me & interested customers/friends to bounce ideas off of each other. I will be showing off new items, maybe selling items here and there, and asking for customers to post items that they have made with Marsha Neal Studio objects. May 10 & 11, 2016 I am going to be a featured selling artist on Handmade Components Bazaar through Facebook. May 21, 2016 I will be working at Sarafina Art House for their Sprung event, and teaching a braided bead bracelet Make & Take at 3pm. 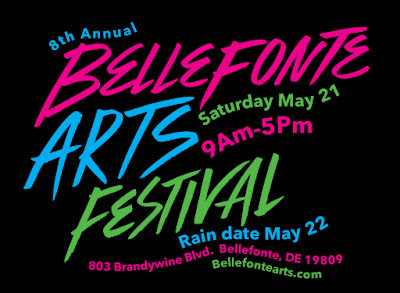 On May 21, 2016 the Bellefonte Arts Festival is happening in North Wilmington, DE. I have my work in a case inside of the Bellefonte Arts Gallery if you want to check out my work along with enjoying the many artists, food, and music the festival is having. The Bead & Button Show in Milwaukee, WI is going to be so much fun. It is always great to see so many friends (customers and vendors). Food week in Milwaukee is always delightful! I cannot wait to get some cheese curds and a cold beer! This is usually my first stop off of the airplane. Seriously! Milwaukee beer and cheese curds! You can find Nikki (Thornburg Bead Studio) and myself splitting corner booth #608 at the Convention Center. Tuesday, June 7, 2016 night from 9-11pm is the Special Midnight Madness Sale in the Hyatt. Thursday June 9, 2016 4-8pm Preview shopping for registered attendees. Friday June 10 – Sunday June 12, 2016 is public open Vendor Marketplace which you can use the above coupon for.